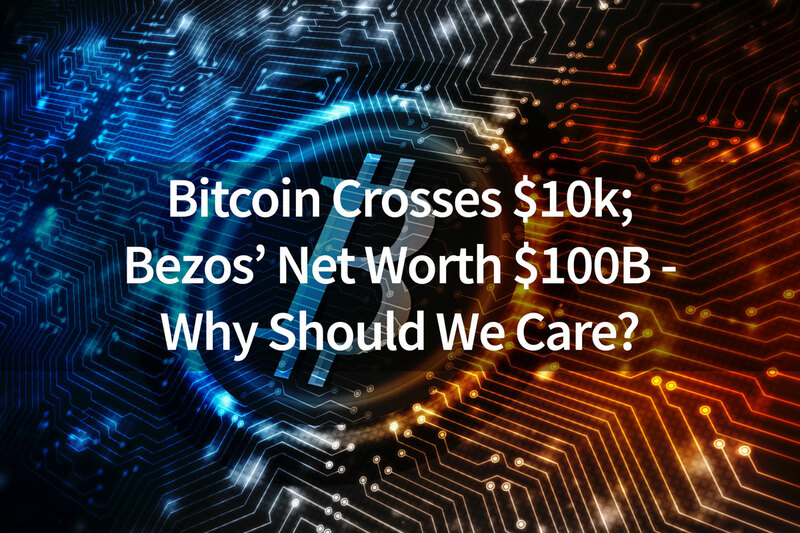 Bitcoin crosses $10k; Bezos’ Net Worth $100B – Why should we care? Please note: this article was started when Bitcoin crossed $10,000.Bitcoin is now at $18,000 (maybe even higher as you read this). When thinking about Bitcoin and Amazon it might be easy for one to ignore the relevance to their own situation. What does a cryptocurrency and an online retailer have to do with me (or my institution)? The answer – everything. It isn’t about Bitcoin or Amazon per se, but rather what they stand for – The new digital world. Digital Transformation is a term that is relatively new, but a term that is becoming increasingly more popular. What it means, in short, and to be rather blunt, is that your old ways are broken and we need to reinvent using the new technologies available, namely the internet and mobile devices. For many credit unions that have been very successful for many years, we are stuck in the old adage of “if it ain’t broke, don’t fix it.” However, unfortunately, this old adage is just that – Old. In the new digital age that we live in today, we have to constantly think about reinvention and transformation – not just every 5 years but every month.